Just days before the annual All Star Break, Boston sits in dead last in the AL East and looks as if they have no gas left. They still have the speedy Shane Victorino on the disabled list, and they desperately miss the powerful bat of Will Middlebrooks. With nothing going, what is the front office to do? Their solution: bring players up from within the organization. If you looked at the starting lineupWednesday, it was obvious what GM Ben Cherington wants. The Red Sox are getting younger, fans, whether you like it or not. Starting Wednesday versus the White Sox was 5 Red Sox rookies.A Youth Movement. Who are these (mostly) unknown men? 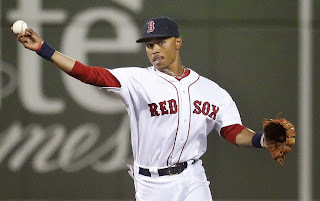 Well, Boston has the speedy and versatile Mookie Betts, the "Brock-Star" who has been a spark for the Sox Brock Holt, the defensive wiz Jackie Bradley, the star in the making Xander Bogaerts and catcher with the laser, Christian Vazquez. Does this feel like a team that could turn the season around for Boston and send them towards a playoff berth? Probably not this year. But it doesn't mean we can't have fun the rest of the 2014. Why should we watch this year's team? Well, look at what they did Wednesday versus the White Sox. Mookie Betts proved that he can run, take chances, and hit in clutch situations, as he began the rally in the 8th inning by beating out a routine grounder and then stretching in into a rare infield double when no one was covering second base. Jackie Bradley looks like he can be a perennial Gold Glove in the making, and the catch he made in the second inning backs up my claim. He read a ball perfectly and fully extended to his left to rob Tyler Flowers of a double and save a run. And while AJ Pierzynski was a MLB leader in passed balls (3rd) and only threw out 19% of runners this year, Christian Vazquez has thrown out more than double that (40%) in AAA. He even gunned down a White Sox runner who was trying to get to second on a ball to right field. Betts threw to Vazquez, who stepped towards second, caught the ball, then whipped a seed to second base to nap the sliding Dayan Viciedo. Brock Holt was an after-thought who barely made this year's roster, but after his start at shortstop today, he becomes only the second Red Sox player ever to start in six different positions in the same season. His single scored the winning run and capped off a 5 run rally to seal the victory. Mookie Betts doubled twice, and his hit-by-pitch in the ninth gave the Red Sox a spark that finished off the White Sox. Betts has a knack for getting on base, as his 71 game on base streak throughout the minors proves. There are going to be a lot of highs and lows for this group this year, but these boys are here to stay. 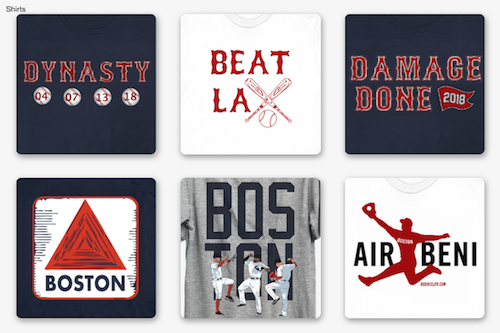 Get to know them, because they will be household names like Pedroia and Ortiz are. Let's just hope the winning continues and these five men continue to provide that spark. 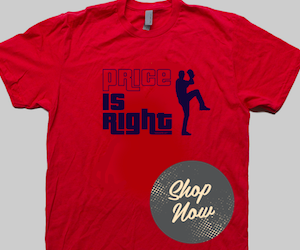 Do you agree Red Sox Nation? Will these boys get us to the Promised Land?